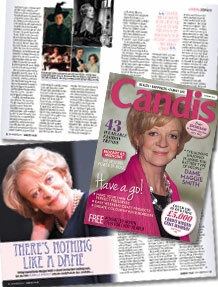 Acting legend Maggie Smith talks about fame, family and why she wishes she could turn children into cats. Behind the curtain with Maggie Smith! She is good friends with another famous Dame – Dame Judi Dench. Dame Smith suffers from a hyperthyroid condition called Grave’s disease, which affected her appearance causing a distension of her eyeballs that forced her to live in near isolation for 12 months. She has also survived breast cancer. She is the only person to win an Academy Award for playing an Academy Award nominee, Diana Barrie, in 1978’s California Suite. She is also one of only five actresses to win Oscars in both lead and supporting categories and has won numerous awards including five BAFTAs and three Golden Globes. She was given Honorary Doctorates of Literature from St Andrews (1971) and Cambridge (1995). Want to read the full article? Find out the full story? 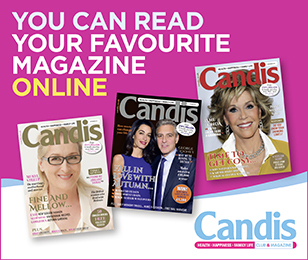 If you’re a Candis member click to read the September issue of the magazine – and this article in full – now in our digital edition. Funnyman Simon Pegg talks about unexpected fame and blockbuster films. British star Jane Seymour talks family and why she always lives life to the full. Actress Diane Keaton talks why at 67 she’s still excited by life. Get to know movie star Halle Berry who is constantly in search of love. Have you won big money in this month’s member draws?